It's kind of hard for me to believe, but today's post marks Fringe Wine's first foray into Sicily. It's certainly not for lack of material. Sicily has a substantial number of indigenous grapes and a wealth of interesting topics to write about, but for some reason, I just haven't gotten around to it. That will change in the near future as I have several handfuls of wines made from native Sicilian grapes that I'll be posting about in short order. Sicily is Italy's largest region and, for many centuries, has been a major source of bulk agricultural products. This bulk product mentality wasn't (and to some extent still isn't) limited just to food products, but it extends into wine production as well. The overwhelming majority of wine production in Sicily is devoted to bulk wine production and production of anonymous blending wine components that are trucked all over Italy (and likely elsewhere) for use in a wide variety of applications. By area, Sicily is Italy's largest region both in total land volume and in acres devoted to the vine. By volume, Sicily is Italy's third largest producer with over 7 million hectoliters of wine produced. Out of all that production, though, only about 5 percent actually ends up in bottles and only 2 percent of that amount is DOC quality wine. As in so many bulk wine regions, a handful of producers and co-ops have decided to buck the trends of history and set out to make quality wine, and, as mentioned above, they have ample natural resources at their disposal. Not only is there a wealth of local grapes to choose from, but the Sicilian climate lends itself quite well to viticulture. While most of the grapes grown on Sicily are white (most are used in bulk Marsala production), the red wines are really where the cool, interesting stuff is happening. Nero d'Avola has recently burst onto the world stage and Nerello Mascalese might not be too far behind (we'll consider Nerello in a future post). Today's post, though, is concerned with Frappato. Frappato's origins are not entirely clear, as some people maintain that the grape is native to the area around Vittoria in southeastern Sicily, while others believe it may have brought over from Spain during one of the periods of Spanish occupation of the island. The genetic evidence points in a different direction, however. 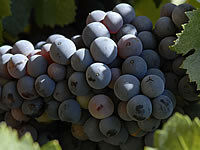 In a study published in 2008, the authors found that Frappato (as well as a handful of other Italian grapes) shares some genetic similarities with Sangiovese, indicating that Frappato is actually an offspring of Sangiovese and an undetermined other variety. This certainly muddies the issue as it makes both origin hypotheses difficult to explain. It seems likely that the grape was brought over from the Italian mainland, along with Nerello Mascalese, at some point prior to the 17th Century, as the grape has been known around Vittoria for at least that long. I was able to get my hands on two different Frappato bottlings. The first was the 2009 bottling from the Valle Dell'Acate co-op which I picked up from Gordon's for about $17. In the glass, the wine had a pale ruby color. The grape is known for the light colored wines it produces, but if you associate lightly colored wines with lightly scented and flavored wines, Frappato has a surprise for you. The nose on this wine was very aromatic with distinctive red cherry and rose aromas. The perfume was intoxicating and it was difficult to pull my nose out of the glass in order to take a sip. On the palate, the wine was medium bodied with fairly high acidity and medium tannins. There were delicate red cherry and strawberry fruit flavors with a flowery, rosy kind of flavor to it. It's a delicate wine that's seemingly held together with gossamer. The fruit is subdued and hung ever so lightly over the acid and tannin bones of this wine. The perfume is the thing about this wine that you'll remember and trust me, you'll remember it for a long time. The second wine I tried was the more upscale 2008 offering from Occhipinti which I picked up at Central Bottle for about $41, though I've also seen it on the shelves of my friends at the Wine Bottega. In the glass, the wine had a medium purple-ruby color. Beyond the color, words start to fail with this wine. I'm going to try a tangent and see if I can get closer to what I want to say. When I was in college, I went to a concert at one of the local venues (I attended UGA in Athens, Georgia, so there were plenty around) and a band I'd never heard of took the stage. Standing behind the keyboard was an absolute vision that I couldn't take my eyes off of. When the band kicked into the first song, I stood like I was nailed to the floor and felt every note ring through my body. For some reason that night, every ion in my body was lined up in such a way that the combination of sight of and sound had me completely mesmerized and I stood there, nailed to a spot on the floor, and let it all wash over me, waiting through every moment for my heart to explode. Life is not full enough of transcendent moments like those where every second that ticks by is both sacred in its own bliss and profane in its temporality and finitude. This wine is one of those experiences. The nose here is explosively aromatic with roses, violets and crushed red berry fruit. That's the objective story of what it smells like. The subjective story is that I fell completely in love with this wine in the way that you can fall in love with objects and unobtainable things that are marked by their temporary appearance in the timeline of your life. It's about falling in love with something whose end is not only inevitable and near, but whose end you are in fact bringing about much more rapidly through your enjoyment. On the palate, the wine was on the fuller side of medium with fairly high acidity and medium tannins. There were ripe, rich flavors of wild blueberries and tart cherries with wild strawberry jam and a flowery kind of character. Again, this captures only the objective experience here. This is a breathtaking wine that was an exquisite agony to drink. I've been moved by wines in the past, but this touched something deep and has been a haunting experience that I can't get out of my head. I hesitate to offer this review as any kind of a call for people to run out and try this because it was a very personal reaction that I had to this wine and those rarely translate well between people. Objectively, it is a very fine wine that is well worth the money, but subjectively, it was much more than that and I get concerned here that people will feel I've led them astray if their experience lacks the profundity that I experienced. I don't know how to answer that. It's worth the chance, I guess is all I can say. Please see this more recent post for a tasting note on another 100% Frappato wine from the Lamoresca winery in the hills of central Sicily. Grolleau is not a popular grape. It is grown almost exclusively in the Loire Valley where it has few fans and a large number of very famous detractors. In the Oxford Companion to Wine, the entry on Grolleau reads "it is to the benefit of wine drinkers that it is so systematically being replaced with Gamay and, more recently, Cabernet Franc." Robert Parker has also bashed the grape, urging growers to replace all of their Grolleau vines with higher quality grapes like Gamay and Cabernet Franc. As you may remember from my post on sparkling Gamay, Gamay isn't exactly a universally beloved grape itself so to see it held in such high esteem over the lowly Grolleau is cause for concern indeed. The thing about Grolleau is that you have probably had the grape at some point but were unaware of it. It is the main grape in the fairly common Rosé d'Anjou, which at one point in time accounted for over half of all production in the Anjou region of the Loire Valley. It is permitted in a few other AOC rosé wines in the Loire Valley, but is not allowed in anything other than rosé wines. The grape is thought so little of that the AOC does not allow red wine production from it at all, so Grolleau has ended up as one of the workhorse grapes for rosé wines, especially Rosé d'Anjou. The popularity of Rosé d'Anjou has fallen off over the past few decades, though, and as a result of the lack of demand (and possibly of the pressure from high-powered wine critics), plantings of Grolleau have fallen substantially as well. If nobody likes poor old Grolleau, then why grow it in the first place? For starters, it's a reliably high-yielding vine, producing a large, steady crop which is a sure sign that growers are going to love it. The name "Grolleau" comes from the French word grolle, which means crow, and when the berries are ripe, they can take on a very dark, almost black appearance which is thought to be reason for the name. 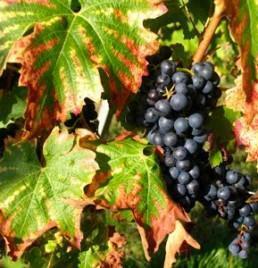 Though the skins can get very dark, they also tend to be fairly thin which means that it has problems in the vineyard and in the winery as it is susceptible to a large number of diseases and is unable to contribute a great deal of flavors since the thin skins lack the phenolic punch of thicker-skinned grapes. It is thought to be related to Gouais Blanc, a seldom grown grape that is one of the parents of Chardonnay, Auxerrois, Gamay and a host of other grapes. I was excited to come across a bottle of the 2010 Olivier Cousin "Le Cousin Rouge" at City Feed and Supply in Jamaica Plain for about $24. The winemaker, Olivier Cousin, is a biodynamic farmer who has about 12 hectares of land under vine and who only uses indigenous yeasts for his wines. He also submits many of them to extended skin contact to extract more color and flavor. The grapes for this wine come from 30 year old vines that yield a paltry 30 hl/ha. His total production for this particular wine is around 3,500 bottles. In the glass, the wine was a deep purple-ruby color which was nearly opaque in the center. The combination of the grape's naturally dark skins and an extended maceration period yielded a very dramatic result in this case. The nose was nicely aromatic with brambly purple and black fruits like cherry and blackberry with more than a hinty of sweaty, leathery, barnyardy aromas. This wine was powerfully earthy and funky with a touch of smoke in the background. On the palate, the wine was on the fuller side of medium with medium acidity and a touch of residual CO2. There were purple fruit flavors, some black cherry, a bit of grape soda and a lot of sweaty, horsey funk. The fruit is more subdued on the palate than on the nose and the finish comes up a little short. In my notes, I have a description of the wine that reads "tastes like what might happen if you dipped a sweaty horse in a vat of Dornfelder or Beaujolais," and I stand by that assessment. Your enjoyment of this wine will line up almost exactly with your tolerance for and enjoyment of funky secondary flavor and aroma characteristics. If you like your wine squeaky clean, steer clear of this as it has nothing that you're looking for. If you love the smell of a horse barn on a screaming hot day, then you may have just discovered your vinous Nirvana. I was first introduced to Falanghina in the Wine Studies program at Boston University last fall. Sandy Block was leading the course in Italy and had brought along a few interesting bottles full of stuff I had never heard of before. One of them was a Falanghina that was as good as any white wine I had ever tasted. I immediately set out to try to find more of this wine, but had a harder time than I anticipated. I did eventually track down a bottle, and here we are today to talk about it. Falanghina is a really old grape. A really really old grape. Like many of the grapes in southern Italy, it's thought that Falanghina came over with Greek settlers sometime in the 7th Century BC. The name "Falanghina" comes from the Latin word "falangae," which is what the Romans called the stakes they used to support the grapevines as they grow. If you read about wine in Roman times, you'll almost certainly trip across a reference to a wine known as "Falernian," which was the most famous wine of the ancient world. If you read about wine in southern Italy, you'll find that almost every grape has someone trying to champion it as the grape used to make this prized wine in ancient Rome. The names that the Romans used for their grapes are hard to match to modern grape names so there's a bit of controversy over just what grape (or grapes) was the base of Falernian. If you are currently looking at the name Falanghina and thinking that it looks an awful lot like Falernia, nice try. Falernian wine was named for Mt. Falernus and, as far as I know, the name for Falanghina is unrelated to Mt. Falernus or Falernian wine. It is certainly possible that Falanghina was the base for Falernian wine, but it's far from clear. Whatever the case may be with ancient Roman wines, we do know that Falanghina has been grown in southern Italy for thousands of years. It was at one time more widely spread than it is today, but phylloxera devastated plantings of Falanghina as thoroughly as it devastated plantings of nearly every other grape in Europe. It was still being grown in Campania after phylloxera, but was mostly used as an ingredient in white blends from the region. In the 1990's, a few growers began to experiment with varietal bottlings vinified with the new, modern equipment that they had and it turned out that Falanghina really took to the stainless steel and temperature controlled fermentation methods. These cleaner, fresher winemaking styles helped to retain Falanghina's aroma and delicate fruit flavors and the wine began to enjoy a relative surge in popularity. It was never in danger of taking over the world, but there are now several producers with varietal Falanghina wines in their portfolios. I was able to pick up a bottle of the 2009 Terredora DiPaolo bottling for about $18. The wine is bottled under the Irpinia DOC, which is located in central Campania near the town of Avellino, home of our old friend Fiano di Avellino. In the glass, the wine was a medium lemon-gold color with a moderately open nose of pineapple, pear and a little peach. On the palate, the wine was medium bodied with medium acidity. There were flavors of creamy pear and ripe apple with a very ripe pineapple/tropical fruit character to them. The texture in the mouth was pretty creamy and the acidity was definitely muted. The example I had before that I had fallen in love with had nice, crisp acidity and a solid minerally vein running through it, but this wine came off a little fat and clunky on the palate. According to the winery website, this wine doesn't see any oak, though I understand some other producers are experimenting with it with mixed results. The winery is mute on the subject of malolactic fermentation, but my suspicion is that this goes through at least a partial, which is trouble for me. This is a well-regarded producer and previous vintages of this wine have shown up in the Wine Spectator top 100 of the year (if that means anything to you) so take this review for what it is: one man's opinion. But whatever you do, don't write Falanghina off, because it is capable of some really interesting things. Today's wine is very unusual and a little bit confusing. The grape itself is called Vincent, which seems straightforward enough, except that there is also a grape called St. Vincent which is completely different from this grape and which is planted much more extensively in the US (though it isn't common by any stretch of the imagination). St. Vincent is thought to be the result of crossing Pinot Noir with Chambourcin in Missouri in 1973. Or it may have been brought to Missouri from Wiconsin. I don't know and I don't really care because the grape that I'm interested in right now is regular old Vincent. Vincent is a hybrid which, of course, means that at some point in its genetic lineage, grapes from two different species were crossed. Vincent is actually a hybrid created by crossing two other hybrids and since I'm not interested in running down Vincent's entire genetic history, I'll just tell you that it resulted from a cross between V 370-628 and Chelois. The "V" in the first grape stands for Vineland, which is the research station in Ontario where Vincent was created. What happens with these breeding programs is that they create a lot of different hybrids and crossings that are not themselves suitable for release, but which have some characteristics that the breeders wish to continue to pass along. Generally speaking, until a grape has been found to be suitable for release, they aren't officially named so when you look through the family histories of some of these crossings, you just see a lot of letters and numbers that won't mean much to you unless you have access to the lab's records. In this case, the VIVC tells me that V 370-628 has two grapes called Lomanto and Seneca as parents. Lomanto is another hybrid while there are four different grapes called Seneca, three of which are hybrids. Chelois is a Seibel hybrid. So we know that Vincent's genetic past is long and complicated and has more branches than we care to count at the moment. We also know that the grape was created by a guy named OA Brandt at the Horticultural Research Institute of Ontario in Vineland. The first Vincent grape was created in 1958 and was released to the public in 1967. As you might imagine, it was bred to be resistant to cold temperatures, a trait which it certainly possesses. Like so many other hybrids created at these research institutes, it was also bred to be very productive, a trait which must be curtailed in the vineyard in order to make quality wines. The grape is a late ripener and has the added benefit of deep pigmentation which increases its value as a blending grape, especially in colder climates where many red grapes do not develop very deep color. I was able to get my hands on a bottle when I recently visited the Finger Lakes region of New York. I picked up a bottle of the 2008 vintage from Fulkerson Winery for about $10. According to their website, they are one of only three wineries in the United States making wine from this grape. In the glass, the wine had a deep, opaque inky core with a purple rim. The nose was fairly aromatic with blackberry and black cherry fruit that had a bit of a stewed character to them. There was also a little plum in there and just a touch of earthy leather. On the palate, the wine was on the fuller side of medium with fairly high acidity and very low tannins. There were flavors of tart blackberry, sour cherry and a bit of cranberry. It had a kind of bitter, seedy flavor to it that reminded me of the taste that you get if you bite into the seeds of an underripe blackberry or the taste right around a cherry pit. It was very tart with a persistent bitterness to it that had a kind of metallic edge to it. The wine was drinkable, but it wasn't particularly enjoyable and to be completely honest, it's hard for me to say whether it's the grape or the winery at fault here, but I have my suspicions. If you've been following the blog over the past few months, you'll notice that I've not had a lot of luck with other wines from this producer. I did do a tasting at the winery and knew what I was getting into when I purchased the bottles, but I mostly bought them because they were so unique and interesting. Unfortunately, the finished results have not been nearly as intriguing as the initial concepts with this winery. I do have one more bottle from them at home (a Traminette) and, ever the optimist, I'm hoping maybe the fourth time is a charm with this place. I always know that I'm in for a fun post when The Oxford Companion to Wine doesn't have an entry on the grape that I'm trying to write about. It doesn't happen often, but it does happen and I end up scrambling, trying to piece together various internet sources to come up with some interesting to say. 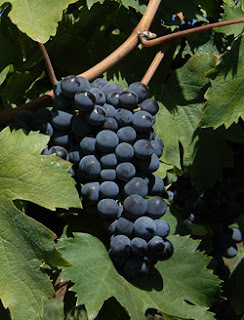 Today's grape is Nero Buono which, as hinted at above, is completely left out of the OCW. Bastianich and Lynch's Vino Italiano has a very brief mention of the grape in their glossary at the end of the book, but the entire entry reads: "Used as a blending variety in DOCs such as Castelli Romani and Cori," which doesn't really give me a lot to work with. To compound matters, most of the sources online that have any information about the grape at all are in Italian, a language that I have no talent in. Thankfully, we live in a modern age and Google Translate is able to at least make some of the text coherent, so here we go. Nero Buono's exact origins are unknown, but it is thought that the grape is native to the Lazio region of Italy. The grape has something to do with a fifth Century Roman politician named Cincinnatus whose home was around the city of Cori, where most of the plantings of this grape can be found today. It looks like there's a possibility that Cincinnatus is the one who may be responsible for bringing the grape to this region and cultivating it in this area, but it sounds like this may just be a legend with no historical record to back it up. Whatever the truth actually is, a local co-op from the region called Cantina Cincinnato thought enough of the legend to use the politican's name in naming their group, and they are one of the largest wineries dedicated to this particular grape in the world. The grape itself is known mostly for having good color and for adding structure to blends but until recently, it's suitability for creating varietal wines was questionable. The only DOC that allows more than 50% Nero Buono in the blend is the Castelli Romani DOC just south of Rome where Nero Buono is permitted up to 100%. Most bottlings you are likely to find, though, are going to be labeled as IGT wines since the town of Cori where most Nero Buono is grown falls outside of the Castelli Romani DOC zone. In Cori, where the grape does best in the hills outside of the town at altitudes between 200 and 500 meters, the DOC regulations only permit 40% Nero Buono. A few producers are finding that the grape has very good potential in making varietal wines so long as the grape is treated properly in the vineyard and in the winery. The grape is somewhat surprisingly susceptible to rot and downy mildew given the thickness of its skins, so care must be taken in rainy vintages. As is the case with so many grapes, keeping yields low is crucial to bringing out the best that Nero Buono has to offer. Experiments with oak-aging are proving very successful as the flavors of the wine seem to have a natural affinity for the flavors of oak. Since the wine isn't well known enough to command the kind of premium that 100% new-oak barrique aging would impose, many producers are making do with second-pass barrels that still have some oak flavoring to give. Cantina Cincinnato has two bottlings of Nero Buono. They have a wine simply called "Nero Buono" which is their higher end offering that seems to go for around $20 retail in markets where it is available. The only bottling I was able to find was their 2008 "Pollùce" which I was able to pick up for about $11. The wine is named for the divinely fathered Pollux of the Gemini twins who has a temple near the town of Cori. In the glass, the wine had a medium purple-ruby color with aromas of stewed raspberry, red cherry and tart plums. As the wine opens up, the aromas get a little cleaner and pick up a kind of waxy fruit character. On the palate, the wine is on the fuller side of medium with fairly high acidity and low tannins. Right out of the bottle, the flavors were predominantly of stewed red berries with a little plumminess and leathery earth. As with the nose, as the wine opened up the flavor shifted to waxy black cherry fruit. This is a wine that needs a little air to show its best so don't give up on it right away. It's not a profoundly complex wine, but it's well made and the price is right on it at $11 a bottle. It's one of those grapes where if you don't grab it when you see it, you may never see it again so give Nero Buono a shot if you get the chance. Sparkling Teroldego - Finger Lakes, NY - Fringe Wine 1 Year Anniversary! Tomorrow, September 17, will mark the one year anniversary of Fringe Wine! 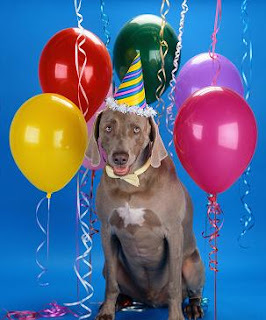 Since it's a Saturday and I don't roll on Shabbos, I'm going to go ahead and get the birthday post out of the way today. I started this blog one year ago because I knew I wanted to write about wine, but I didn't think that anybody would care what one more person has to say about Cabernet Sauvignon or Chardonnay. I'd always had an inclination towards unusual wines and decided that maybe that was an interesting little niche that I could explore. My first ever post was written without the benefit of any tasting notes and just a quick glance at Wikipedia and, frankly, it's a little embarrassing to read today. My next few posts weren't much better, but over time, I felt like I was starting to find my voice and was starting to figure out a format that worked for me. October 2010 was the first full month the site was live and I got a total of 21 pageviews, which was fewer than one per day. I didn't get over the 100 views for a month hurdle until January 2011, but traffic was increasing each month, which was gratifying. By April 2011 I was over 1,000 pageviews per month and the site currently gets about 2,800 pageviews per month. To anyone reading this as a repeat visitor or as a first time visitor, thanks for stopping by and I hope you found the site interesting and useful. On a more personal note, the experience of writing the blog has been pretty amazing. I decided to take some courses at Boston University and through the WSET to make sure I had a strong foundation for my writing and I fared pretty well in those courses and took away a lot of good information. Nothing has compared with the knowledge I've gained in seeking out unusual wines and talking to wine shop proprietors and in doing the research for my posts. I've felt the borders of my wine universe expand a little more every day I've done this and it has been great the whole way through. When I first started, I was barely able to hit 100 grapes on the Wine Century Club's application. One year later, I've been able to cross off almost every grape on the original list and have added quite a few more for a total of over 300. Those who are interested can view my up-to-date Wine Century Club application here. I'm also going to post my weird wine spreadsheet which interested parties can view here. Those lists are growing every day and I hope to continue that trend for at least another year and hopefully for more than that. This is the 91st post for the blog, which means I've been averaging a post about every four days, which I'm pretty happy with. I hope to be able to pick up the pace a little in the coming year as I have a huge backlog of wines to drink and write about (as you can see if you take a look at the spreadsheet link above). By far the most popular post on the blog is the on about Sangue di Giuda, which has 700 pageviews and accounts for about 5% of the total traffic on the site. Lacrima di Morro d'Alba is in second place with just under 500 pageviews, and in a distant third is Chasselas. In honor of Fringe Wine's one year birthday, the wine I'm going to write about here is a very rare "Triple Weird" wine. What that means is that it actually satisfies all three of the rules for Fringe Wine on the left hand side of the page. It's made from the Teroldego grape in a fully sparkling style in the Finger Lakes region of New York (to clarify, I'm not saying the Finger Lakes region is an unusual region, I'm saying that the Teroldego grape is unusual to find in this region). When I first read about this wine, I actually planned my entire summer vacation trip so that I could be sure that I could pick up a bottle for myself and write about it. The wine in question is the 2008 Red Tail Ridge Sparkling Teroldego, which I picked up at the winery for $35. In the glass, the wine was a medium purple ruby color with vigorous bubbles. The nose was a little shy with some black fruit aromas but mostly funky, yeasty kinds of smells. On the palate, the wine was dry and medium bodied with acid on the higher side of medium and a little bit of tannic bite to it. There were black fruit flavors of black cherry and blackberry with a touch of bitter, smoky charcoal. It did have a touch of funk to it as well which added a nice bit of complexity without getting in the way. The fruit flavors were purely represented, which isn't always easy with methode champenoise style wines, but this really delivered. The flavors were dark and brooding but were presented in such a bright, lively way with the nice acidity and the bubbles. This wine was a lot of fun to drink, but it was also interesting and complex. If you find yourself in the Finger Lakes region, it's the kind of thing you can't afford to miss if interesting wines are at all your kind of thing. They've also got a regular table wine bottling from their Teroldego grapes now that wasn't available on my visit, but I'm sure I'll be back before too long to see what other cool experiments they're trying out. So, happy birthday to Fringe Wine and a huge thank you to everyone for reading and taking these journeys into some of the lesser known corners of the wine world. I hope to be able to cover even more ground in the coming year and hope you will come along with me for the ride. Pop quiz time again. What's the most widely planted red grape in Portugal? Touriga Nacional would be a good guess, as would Tempranillo, but both would be wrong. 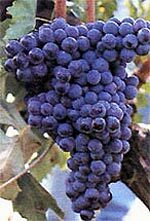 The most planted red grape (and possibly the most planted grape period) is a little grape called Castelão. Some might argue that the most widely planted grape in any country is hardly a fitting topic for Fringe Wine, and they'd normally be right, but Portugal is different. As mentioned in my post about Baga, it can be maddeningly difficult to find a Portuguese wine made from a single grape variety. Portugal is a land of blended wines and while I don't have anything against blended wines, for the most part, my focus here is on unusual grapes. Also, one of the unwritten rules I have on this site is that I'll write about a wine if I have a really hard time finding a bottle at any of my usual haunts. To date, the wine I'm writing about today has been the only varietally bottled Castelão that I've come across, and that's good enough for me. Castelão is widely grown across southern Portugal, accounting for about 50,000 acres of land under vine throughout the entire country. It's a grower's dream in that it loves poor, sandy soils and hot temperatures but is adaptable enough to be grown in a variety of different areas. It has several synonyms, the most common of which is Periquita, which comes from the Portuguese word for parakeet. Why it's named after the word for parakeet, I have no idea. It seems that around 1850, José Maria da Fonseca, the oldest table wine company in Portugal, began bottling bottling Castelão under the name Periquita and I guess people liked it. I think that the José Maria da Fonseca bottling became so widespread and popular that the fantasy name "Periquita" that they were using came to be synonymous with the grape itself. You can still buy their Periquita wine today, though it looks like only the Periquita Classico is 100% Castelão. 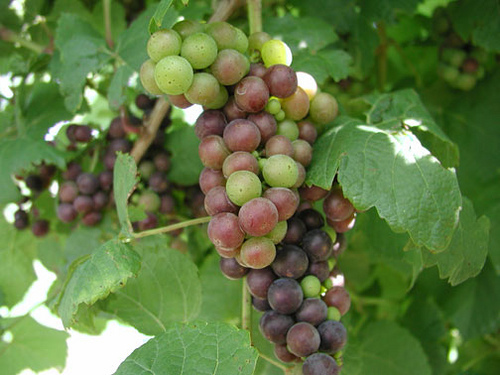 The vine produces small clusters of tiny berries which means that there's a fairly high skin to pulp ratio. This means that the wine produced from these grapes can be pretty tough and high in tannins, which is why many producers decide to use Castelão in so many blends. It gives very good color and structure while the other grapes in the blend soften its rougher edges and make it more approachable in its youth. As mentioned above, it's a bit of a masochist of a grape in that it really seems to prefer sandy, infertile soils and tends to show its best in those conditions. It is sometimes used in Port production, but most of its successes are in the southern regions of Portugal. I was able to find a bottle of the 2007 Dona Ermelinda Castelão for about $10 from my friends at Curtis Liquors. The wine is from the Palmela DOC which on the Setubal peninsula in the southwestern area of Portugal. In the glass, the wine had a medium ruby core that faded to a crimson colored rim. The nose was fairly aromatic with dusky raspberry and tart cherry fruit. On the palate the wine was medium bodied with fairly high acidity and low tannins. There were flavors of juicy raspberry and red cherry fruit as well as some stewed berry flavors. There was a nice earthiness to the wine that helped to balance it out a bit. Overall, it was a fairly simple wine with nice red fruit flavors, but it was a little thin and had a distinct bitterness to the finish. For the price, though, it was a nice wine that would complement a wide variety of foods thanks to the acid level. Yesterday we explored the family history of the Savagnin grape and took a look at two bottlings from the Jura that were made in a more modern style. Today I'd like to talk a bit about some of the more traditional wine-making methods in the Jura, especially the methods used in the vinification and maturation of the Savagnin grape. The word that sums the Jura up for most wine enthusiasts is "oxidation." In almost no other wine region on earth is the production of wines (white wines, in any case) that have been excessively exposed to oxygen considered a good thing, but in the Jura, it's the most defining characteristic. Is it because they just love the unusual flavor compounds that are created when their wines are exposed to oxygen during maturation? Well, kind of. In order to understand the oxidized white wines of the Jura, it's necessary to first understand something about the signature wine of the region, Vin Jaune. 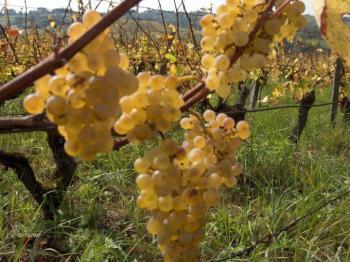 To make Vin Jaune, first you need really ripe Savagnin grapes, which sometimes go by the name Naturé in the Jura. You vinify these grapes like you would any white wine and then you pour the wine into 60 gallon neutral oak barrels. It's at this point that things start to go a little off the rails for Vin Jaune. For most wines, when you pour them into a barrel for maturation, you try to fill the barrel as close to the top as you can so that there is virtually no air in the barrel. Since wood is porous and the barrel is curved, some air is introduced to the wine anyway either through the small amount of headspace (air in the top of the barrel) or through the pores of the wood, but you try to limit that contact as much as you can. Some of the wine evaporates and the barrels have to be continuously refilled to keep the headspace in the barrel as small as possible. This is the method that the two wines I wrote about yesterday were made with and is the method that most barrel-aged wines all over the world are made with as well. With Vin Jaune, the process is different. The wine is poured off into the neutral oak barrels and a larger than usual amount of headspace is left to expose as much of the surface of the wine to the air as possible.. As the wine evaporates, the barrel is not topped up and, with a bit of luck, a film of yeast called voile forms on the top of the wine. Those of you who are Sherry aficionados will no doubt be reminded of the flor that forms during the maturation of Sherry. The voile of the Jura is similar to the flor of the Sherry region, but it is a different strain of yeast which thrives in the lower alcohol base wine of Vin Jaune and is better suited to the colder winters of the Jura. The film can take between two and three years to fully develop and it never gets as thick as the flor of Spain. The voile imparts its own nutty, tangy flavors to the wine while also serving to protect it from bacterial spoilage and from excessive exposure to oxygen. 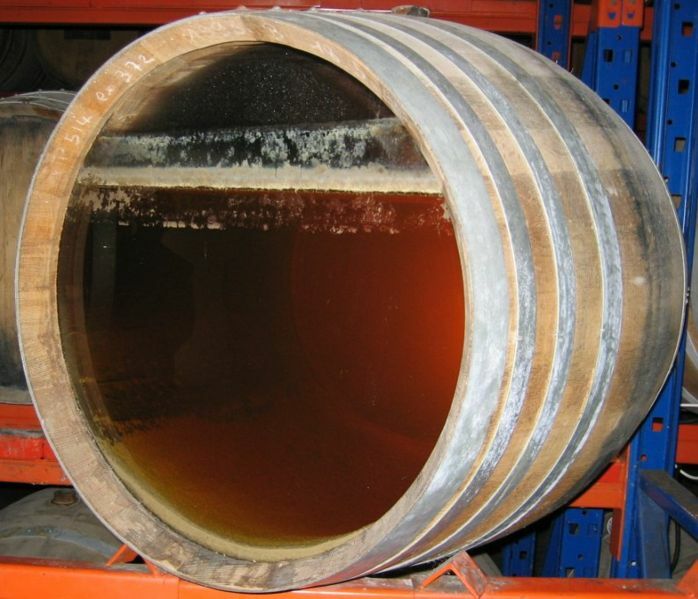 In order to be bottled as Vin Jaune, the wine may not be bottled until six years and three months after the harvest and while the wine doesn't need to stay in barrel for that long to be eligible for the Vin Jaune label, it often stays in for the overwhelming majority of this time period. Sometimes the process goes awry. For one reason or another, the voile may die off prematurely before the wine has developed sufficiently to meet the standards of the producer for Vin Jaune. Six years is a long time and everything really needs to go exactly right for a barrel to make it to the finish line, especially since many, if not all, of the estates in the Jura rely on nature to see the voile process through the end. Very few producers inoculate their barrels with yeast culture so the formation of the voile is always something of a gamble and when it's gone, it's gone and not coming back. When something does go awry, what happens to the wine? Well, it is often bottled as-is, provided that whatever went wrong in the barrel didn't spoil the wine or make it undrinkable. A large number of the bottles that you see marked as Naturé du Jura or Savagnin are wines that didn't complete the full Vin Jaune maturation process. These wines show a bit of the tang and oxidative nuttiness that marks full blown Vin Jaune, but are not nearly as deep or complex as those wines can be. I do have some bottles of Vin Jaune at home, and I will open them and write about them once they've properly matured, but they do require some time in bottle to reach their peak and mine aren't quite there yet. What I do have, though, are a few Savagnin based table wines from the Jura made in the more traditional, oxidative style. The first bottle I tried was from Domaine Rolet Pere et Fils (who longtime readers might recognize from my Crémant de Jura post). I picked up a bottle of their 2007 Naturé du Jura for about $17 from my friends at the Wine Bottega. In the glass, the wine was a medium gold color with nutty aromatics of pine nuts and hazelnuts. There was a touch of appley fruit and a kind of a buttered popcorn kind of smell to it. On the palate, the wine was on the fuller side of medium with fairly high acidity. There were flavors of pine nuts, sesame seeds, dried apples and again that buttered popcorn flavor. The wine was savory and incredibly interesting. It was just screaming out for some nutty salty cheese and since I didn't have any Comté cheese, a specialty of the Jura, I made do with some Parmigiano-Reggiano slivers that really hit the spot. The second wine I tried was something that Matt at the Wine Bottega found especially for me. It was a bottle of the 1998 Domaine Berthet-Bondet Cotes du Jura Savagnin bottling which he sold to me for $25. In the glass, the wine was a medium gold color with an attractively aromatic nose filled with toasted almonds, hazelnuts, and toasted pecans. The fruit was mostly gone from this wine, but it was still kicking with those savory, nutty smells. The palate followed the nose pretty closely with buttered nut flavors and a kind of sawdust/old barn kind of taste that doesn't sound particularly appetizing, but hear me out for a second. When I was a little kid growing up in rural Georgia, my grandparents used to have these massive pecan trees in their yard. When we'd visit, we'd go out and pick the pecans off the ground and then go out to my grandfather's old barn to crack them open with an old vise and eat them. Drinking this wine brought me right back to that place and to the smell of the fresh nuts especially the shells of those nuts and the smell of the old wood and the sawdust in that old barn that my grandfather built. He passed away over ten years ago, but I still miss him quite a bit and drinking this wine was such a nice way to go back to that time in my life. It's difficult for me to tease out the parts of me that enjoyed this wine on its technical merits and the part of me that enjoyed it for the emotional resonance it had with me. Frankly, I'm not all that interested in the question and will just submit that it was a deeply pleasurable and rewarding experience to drink this wine and my hat is off to the winemaker and to the shop that enable me to have that experience. I'm writing this post and a related Savagnin post (which was published yesterday) to celebrate the publication of a bit I wrote on the Jura for the AG Wine team for use in their wine app. You can check out AG Wine's website here or you can go here to download the app for your iPhone or iPad. It's definitely one of the most informative and useful wine apps that I've used and I enthusiastically recommend it for people interested in learning more about wine and less about wine scores. I've also written the section on Alsace and the section for Savoie as well. 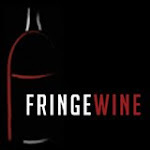 Their free Wine News app also syndicates my posts so you can follow Fringe Wine and many other great writers on the go for free. In the interest of full disclosure, I do not receive any financial compensation from AG Wine for any of the content or promotion that I provide to them. Savagnin is a tough grape to write about. It has the difficult double-distinction of being a very old vine and of being genetically unstable. Put the two together and you get a recipe for widespread mutation over a long period of time which, of course, leads to confusion. We'll do what we can with it, though, and see what light we can shed. Savagnin is currently best known for its role in white wines of all sorts in the Jura region of France. The French ampelographer Pierre Galet, though, had a hunch that the grape known as Savagnin in the Jura might actually be the same as a grape called Traminer from the Südtirol region of Italy despite minor differences between the leaf shapes and chemical makeup of the two plants. Traminer, named for the town of Tramin in Südtirol, was once widely planted throughout Germany, Alsace, Hungary and Austria, though it is rare to come across a grape by that name today (the grape called Traminer in Austria is actually Roter Veltliner, a totally unrelated grape). Recent DNA profiling has proven that Traminer and Savagnin are actually one and the same grape. And that's the end of the easy part. Somewhere along the line, a Savagnin plant mutated into a vine that grew pink-skinned instead of green-skinned berries. This pink-skinned version is known as Red Traminer or Savagnin Rose. At some other point in its history, this pink-skinned version mutated again and picked up a much headier, more muscat-like aroma and spicier flavor profile and thus Gewürztraminer was born. Over time, people in many places confused the Red Traminer vines and the Gewürztraminer vines, since visually they look nearly identical, to the extent that it is currently theorized that many of the vines known in Germany as Gewürztraminer may actually be Red Traminer and they point to the German Gewürztraminer's tendency to have muted aromatics as proof. There's also an obscure grape in Alsace called Klevener de Heiligenstein which is also believed to be Red Traminer, though this grape is not related at all to the grape called Klevner in Alsace which is actually Pinot Blanc. We're not done yet. There are other grapes grown in eastern Europe that may or may not be Savagnin or a mutation of it. There's a grape called Frankisch in Austria, one called Heida or Païen in Switzerland, and one called Formentin in Hungary that may be Savagnin or one of its clonal variants. In the cru of Ayze in the Savoie region of France, a sparkling wine is made from a grape called Gringet that has long been thought to be identical to Savagnin, but which is now believed to be something totally different. 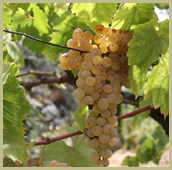 In Australia, much of what had been grown as Albarino is in actuality Savagnin, though the two grapes are not genetically related. The Savagnin Noir of the Jura is none other than Pinot Noir, which Savagnin is somehow related to somewhere down the line. Savagnin is also thought to have some link to Viognier, though the exact familial relationship is unclear. And all that only covers trying to figure out exactly what Savagnin is as a grape. Once you actually get into the Jura and try to navigate the enormous number of different styles that the grape can be put to, well, then things get really crazy. I'll get into some of the more traditional styles that Savagnin is put to in a post later this week. Today, though, I'm going to be looking at two wines that are made in a more modern style in the Jura. The first is a wine made from 100% Savagnin grapes that are vinified in a more or less straightforward white wine style. The grapes are picked and selected before being partially fermented in temperature controlled stainless steel. The partially fermented juice is then moved to neutral oak barrels, where malolactic fermentation also occurs. Usually in the Jura, when white wines are placed into barrels, as the juice evaporates through the pores in the wood, the barrel is left alone so there is an increasing headspace in the barrel that allows oxygen (and sometimes a yeast film) to come into contact with the wine. To make this wine, though, the barrels were topped up every 10 days to prevent oxidation and dosed with SO2 to prevent the voile from forming and to preserve the fruit characteristics of the grape. This is a very unusual, very modern way of treating Savagnin grapes in the Jura and this bottling is the only example of that style that I've been able to find (though I know others exist). The wine that I'm talking about is the 2008 Domaine de la Tournelle "Fleur de Savagnin" which I was able to pick up from my friends at the Wine Bottega for about $33. This is a small, biodynamic estate located in the town of Arbois in northern Jura. In the glass, the wine was a medium gold color with a very aromatic nose of peaches and apricots, honey, melon, honeysuckle and flowers. On the palate, the wine was medium bodied with high acidity and flavors of lemon, grapefruit, honeysuckle, apricot, ripe apples, creamy citrus and a touch of nuttiness. The wine was wonderfully balanced as the creamy mouthfeel was grounded very nicely with a solid, nervy vein of acidity which can be distractingly high as the wine warms towards room temperature. The flavors and aromas were complex and well-integrated. Overall, this was an exceptional experience and is definitely something to seek out if the oxidized white wines from the Jura aren't exactly to your liking. Even if you are a fan of the nutty white wines of the Jura, check this out to get a sense for the grape in a more unadulterated format. The second wine that I was able to try is the 2007 Philippe Bornard "L'Ivresse de Noé," or, "The Inebriation of Noah." This wine is made from late-harvested (in November) Savagnin grapes that are also vinified in a non-oxidative style. I was able to pick up a 500mL bottle from my friends at the Wine Bottega for about $40. In the glass, the wine is a medium gold color with a powerfully aromatic nose of grapefruit and citrus peel, buttery hazelnuts, honey and ripe apples. On the palate, the wine was full bodied with high acidity and flavors of apple, pineapple, lemon curd, honey and a touch of nuttiness. The wine is just off-dry, though it's tough to notice it thanks to the bracing acidity. This is a decadent experience to drink and is probably one of my favorite wines of the past year. Intense, ripe, honeyed fruits drape themselves all over your palate and linger for what feels like an eternity. If I could afford to drink this every day, I would do it in a heartbeat. I'm writing this post and a related Savagnin post (which you can read here) to celebrate the publication of a bit I wrote on the Jura for the AG Wine team for use in their wine app. You can check out AG Wine's website here or you can go here to download the app for your iPhone or iPad. It's definitely one of the most informative and useful wine apps that I've used and I enthusiastically recommend it for people interested in learning more about wine and less about wine scores. I've also written the section on Alsace and the section for Savoie as well. Their free Wine News app also syndicates my posts so you can follow Fringe Wine and many other great writers on the go for free. In the interest of full disclosure, I do not receive any financial compensation from AG Wine for any of the content or promotion that I provide to them. An additional note, this post has been translated into Ukrainian and that translation can be read here. In the first two months that this blog existed, I wrote about two different wines from Hungary: Bull's Blood, which was actually my second post ever (so be kind if you read it) and a dry white wine made from Furmint grapes. Since October of last year, though, I hadn't been able to find any new or interesting wines from Hungary. Sure, there are plenty of Tokaji wines out there and most of them are out of this world, but Tokaji isn't really unusual enough for me to write about here. I remembered that I had picked up a wine several years back made from the Irsai Olivér grape in Hungary, but the place I bought the wine from went out of business a few years back (it was the Best Cellars that used to be in Coolidge Corner in Brookline). I wasn't sure if I'd ever get another crack at the grape, but I got lucky and caught Bin Ends when they happened to have a few bottles in stock and I'm glad I got to give the grape a second chance. My first experience with it was very underwhelming, but this time around, I found the grape much more interesting. But before we get to that, it's time to talk a bit about the grape itself. It was created in 1930 in Hungary from crossing two other obscure grapes, Pozsonyi and Pearl of Csaba. There is very little information available about the Pozsonyi grape, but there is a little information about Pearl of Csaba. Pearl of Csaba was created in 1904 in Hungary and, most importantly, one of its parents was a member of the Muscat family of grapes, Muscat Courtillier (also known as Muscat Précoce de Saumur). 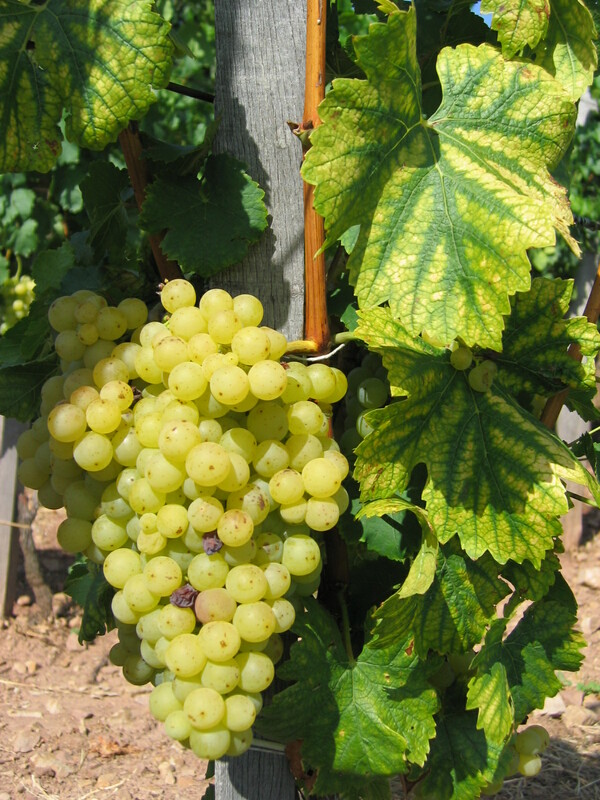 This particular Muscat variety is often used in crossing experiments because it ripens very early (hence the "Précoce" in the name which means "early" in French) which is a trait that many people want to propagate. Irsai Olivér inherited this trait from its grandparent and also picked up quite a bit of the Muscat character as well. I'm not sure about Pozsonyi, but Pearl of Csaba was originally bred to be a table grape in Hungary and Irsai Olivier was intended to follow in its footsteps. It is still cultivated as a table grape in many places, but it is also finding some popularity as a wine grape as its only viticultural weakness is a particular susceptibility to powdery mildew. It is fairly popular in Slovakia and the Czech Republic where it is known as Irsay Oliver. Most resources indicate that the proper Hungarian spelling of the grape's name is Irsai Olivér, but the bottle that I had definitely spelled it Olivier. I'll confess that I don't understand the diacritical marks in the Hungarian language, so I don't know if the "ie" spelling is equivalent to the "é" or not. I cannot find any information on the historical basis of the name Irsai Olivér. The breeder's name was Pál Kocsis and when I enter the name of the grape into a Hungarian translator, the same two words pop back out the other side. Whatever the source of the grape's name, I was able to pick up a bottle of the 2008 Nyakas Cellars Irsai Olivier from my friends at Bin Ends for about $10. In the glass, the wine had a silvery lemon color. It was explosively aromatic with aromas of lychee, flowers (possibly orange blossom? ), and ripe peaches. The wine was medium bodied with acidity on the higher side of medium. There were flavors of lychee fruit, mandarin oranges, orange peel, ripe pear with just a touch of lemony citrus. The palate was more restrained than the nose, but it was still nicely flavorful. When I had this same wine a few years back, I remember being bowled over by the aroma, but finding that the palate was so restrained that it ended up being a disappointment. This bottle definitely followed through more on the palate without it being overwhelming. Gewurztraminer and Muscat are the two obvious comparison points here, but this reminds me much more of Torrontés. It's refreshing, a pleasure to sniff and has a kind of restrained dignity on the palate that doesn't overwhelm you, but doesn't leave you unsatisfied either. For fans of aromatic white wines, this is a must-try.